Cheryl Cole is talking about the very first act you will see on stage when The X Factor returns for a seventh series this Saturday night. House husband Steve, 41, whose Disco Inferno really does burn, baby, burn in its own special way. But Cheryl could have been describing the entire opening 90-minute show. I arrived at The X Factor press launch in London this morning thinking, as I do every year, that surely this time round something has to give. The big screen media preview comes with audio at near eardrum-splitting volume. A totally different environment to the way millions will see the programme when it goes out. With a few hundred cynical journalists ready to seize on any sign of the magic fading. Just over 67 minutes later (no adverts for us) they’d done it again, with the audience applauding what they’d just seen. A rare occurrence at press screenings. Show one features auditions in Glasgow, with guest judge Geri Halliwell deputising for Dannii Minogue – on maternity leave at the time – alongside Cheryl, Simon Cowell and Louis Walsh. The action later moving on to London, with no guest judge on duty. The highlight, for me, was student Gamuchirai Nehengu – known as Gamu – aged just 18.
Who gives one of the best auditions I have seen over the last seven years, complete with red rose in her hair. 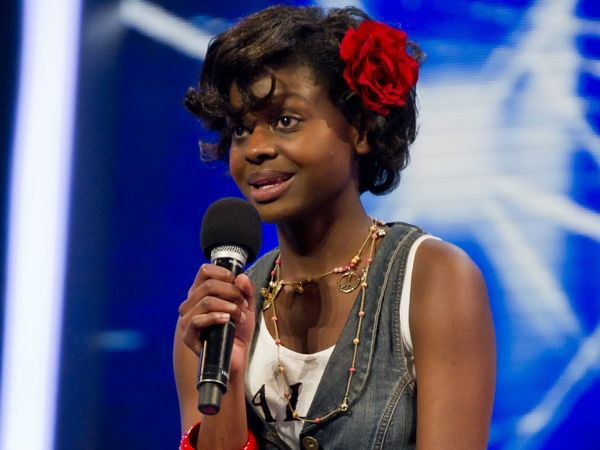 Gamu moved from Zimbabwe to Clackmannanshire over five years ago with her single parent mum and two little brothers. “It took a lot of getting used to but it’s like a second home now,” she says. “When it comes to singing, I do it because I love to do it – it’s the one thing that I feel that I’m good at. “My ambition? I want to be somebody. I want to make something. I want to be someone people talk about. Spirited Gamu performs her own version of Katrina and the Waves’ Walking On Sunshine and receives a standing ovation. Both she and her mum are in tears. But will the judges put her through? The X Factor can still pack a punch, as you’ll see in full later on in the series with footage of an already reported stage altercation. 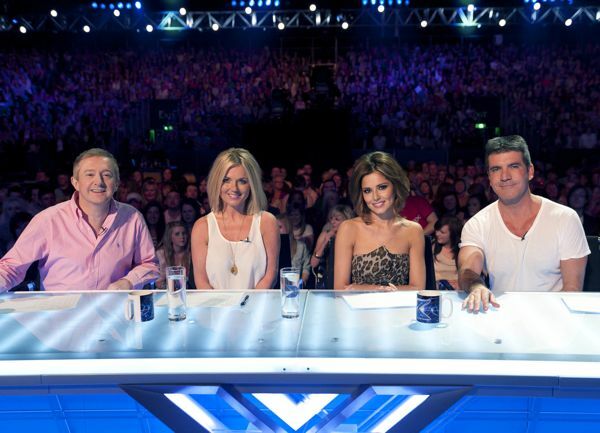 There will be six weeks of shows from this year’s auditions, which Simon describes as “the best yet”. Before the screening of the first one, we were treated to the usual knockabout filmed message for the press. *Simon telling Cheryl she’s a “childish little brat” after she sticks her tongue out at him. 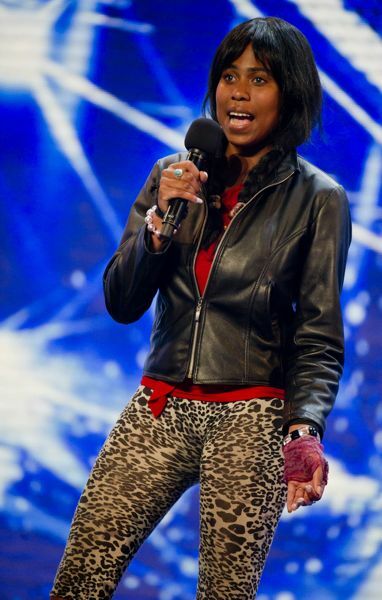 *Student Emedy Ecilo, 21, has Cheryl in tears of laughter with his version of Michael Jackson’s Billie Jean. *A “Geri talks too much” sequence. *A duo called G & S – Gay & Straight. *Katie, 24, from London. 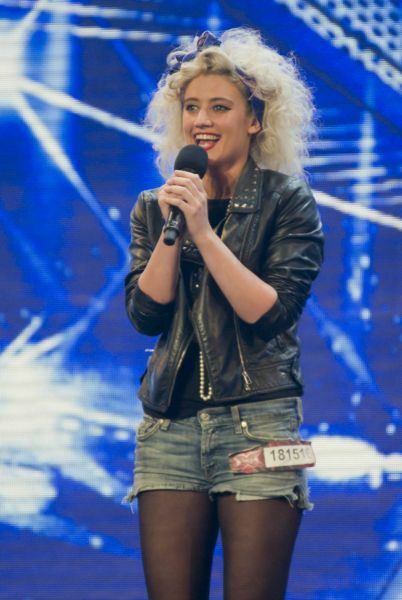 A young Madonna crossed with Cyndi Lauper who, at last, gets to sing At Last. “You’re like a singing scarecrow,” says Simon. 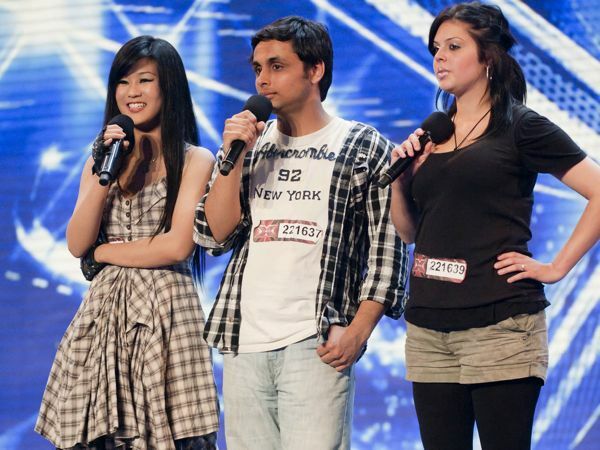 It’s all classic X Factor. 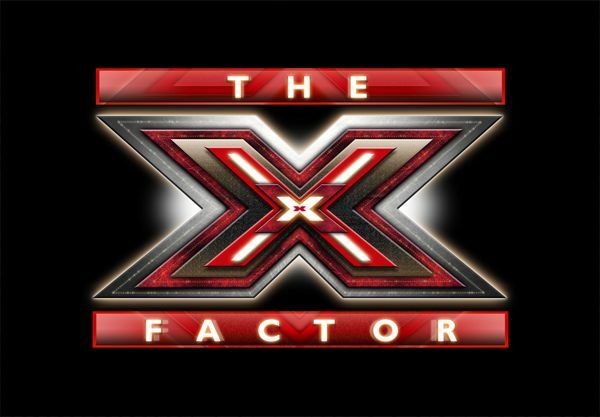 *The X Factor begins on ITV1 at 7:30pm on Saturday. Photos of Gamu and the other contestants are embargoed until tomorrow (Friday) – I will add them to this blog then. Friday update: New photos now added. Posted in News and tagged Cheryl Cole, Dannii Minogue, Geri Halliwell, Louis Walsh, Simon Cowell, The X Factor. Bookmark the permalink.